Gene Carson was an eavesdropper  not your garden-variety Peeping Tom, but one of the elite among listeners. He worked for the National Security Agency since its founding in 1952. After forty-six years of service, Carson died, leaving a retirement account worth close to one million dollars to a woman that he felt he knew and loved, but who herself didnt even know that Carson existed. Imogene Campbell thought there had been some kind of computer error when she received notification of her inheritance, but repeated contact from a Washington law firm convinced her that it was real. A month later, she and her friend Bea Stevenson were taking the long drive from Nebraska to the nations capital to collect the money and assorted possessions that been left to her by Mr. Carson. At the law offices, Campbell was somewhat relieved to learn that most of Carsons personal effects had been turned over to the state. There were a few notable exceptions, however, including a brand new large screen television, a cordless telephone, jewelry, and a pair of womens shoes. What immediately caught Campbells eye, however, was a large wooden footlocker full of books: meticulously kept diaries with dates ranging from 1940 to 1988. As Campbell pored over the handwriting, she was shocked to learn that although they had never met, Carson had used his position at the NSA to obsessively listen to her telephone line and record intimate details of her life for a period of twenty-six years. Carsons diaries revealed that his eavesdropping was only made possible by a unique career path. He started out in Signals Intelligence during the war. Only sixteen when he enlisted, he lied about his age to work with the code breakers. He indicated in one diary entry that his superiors knew his real age, but turned a blind eye, treating him as a younger brother and respecting his exceptional mathematical abilities. After the war, Carson went through a series of jobs, including stints with Bell Labs and General Electric. When the National Security Agency was formed in 1952, the thought of counter-espionage rekindled fond and exciting memories of his signal corps work. He applied for a job and was hired immediately. He worked decrypting Soviet communications, and was thrilled with the challenge at first. After several years, however, the job began to wear thin. As often as they were able to crack the codes, new ones evolved. By the time he had been with the NSA for nine years he was burning out. The diary entries from this period are sporadic, sometimes skipping weeks at a time. Last night I dreamed that I was on a conveyor belt walking, and the belt went the other way, so no matter how much I walked I just stood still. After consulting with his superiors, Carson was offered a temporary internal transfer. The new job landed him in a communications control center, listening to live civilian telephone conversations. There were numerous different criteria for selecting lines to listen to, but Carsons specialty was high risk civilian lines in regions around high-security government operations. His diary entries indicate that he was intrigued by the work. anything about Los Alamos, he reported back, and the men were immediately transferred. Those stories that Tobin told me were great. I always looked forward to summer nights after work at GE fishing from his boat in the river. Loose lips sink ships, hed say. My job is basically like Tobins was, except people never even know anyone is asking. One of the places Carson was charged with listening to blanketed a vast area where three states meet: Nebraska, Wyoming, and Colorado. A cold war rush had made the small town of Kimball, Nebraska Missile Center U.S.A., a title that the town proudly prints on publicity materials today. Located in the nations largest intercontinental ballistic missile array, it seemed a perfect place for Carson to listen to the telephone lines of local civilians, fishing for potential security breaches. It was while listening to a line in Kimball that he first heard Imogene Campbell. Today I heard a woman talk about laundry. Her name was Ima Jean (kind of like my name! ), and she nearly made me laugh out loud. She was talking to a friend about lint, and they have some entrepreneurial ideas for what to do with extra lint. They will set up a collection for all the laundries in New York and the lint will be processed by an as yet unknown technology and used to make beautiful things. Those girls talking funny really brightened my day. Carson continued to tune in to Imogene Campbell every few days. She and her husband ran a small motel. For the NSA, any hotel in a potentially hot geographical area was something to listen to. Even spies need places to stay, but more importantly, if any servicemen from the silos were engaged in illicit meetings, this would be the place. As the weeks passed, Carson listened to Imogene Campbells phone more and more, until he was tuning in every day. His diary becomes much more personal. Imogene was very upset today, and Im not even sure why. She had a long talk with Bea Evans about how she wishes it would warm up and get sunny, but she was so depressed and melancholy. I hope she is in a better mood tomorrow. By 1964, every entry in the diary was about Imogene Campbell. The accounts grew, becoming more detailed and more speculative. By the end of 1964, two years into writing the diary, crude diagrams appear that map out the telephone connections between Imogene Campbell, her friends and family. Imogene was crying today, and talking to everyone. Charlie got crushed by a combine and died. I felt real bad for Imogene, I wished I could help her. Im not too sad for Charlie though, Charlie wasnt so good for her anyway. He was never home except in the middle of winter, and Imogene thinks he should have helped out with the motel and sold the land. If I were Charlie I would have been there to help Imogene and none of this wouldve happened to her. With Charlie Campbell out of the picture, Gene Carsons infatuation with Imogene Campbell grew. He was offered a promotion at work, but he turned it down. He was internally investigated for turning down the promotion, but they found nothing extraordinary. Other NSA employees said that Carson continued to identify good leads on suspected espionage, and he was very well liked in the office for the stories he told about his days in Signals Intelligence. Carson was able to keep his job because he was well liked and older. Over the years, however, his co-workers heard the stories less and less, and Carson grew more self absorbed and reclusive. His diary entries grew more emphatic, indicating that he yearned to reach out to Imogene Campbell. Your voice is always with me. Today I went to the bank and told the teller that your birthday was coming up and I wanted to get you a television. The teller really seemed happy about it, and he winked at me when he handed over the money. I know this is just my fantasy but I need something. Ill put the money back in the bank tomorrow. I cant get you a TV now. Contact would be treason, I think. Over the next few years, Carson continued to listen and to write. Once he actually did catch a serviceman from the silos talking freely to his girlfriend in the hotel, and his superiors accepted it as continued justification for listening to Campbells motel phone. But the more he listened, the more he wanted to speak. I just want to make contact with you. Thats all I want to do. The tension created by this passive listening grew, and became the subject of everything Carson wrote in his diaries. He knew he could figure out a way to speak to Campbell, but he also understood that such contact was not very likely to go unnoticed in the agency. He considered a trip to Kimball, but he was acutely aware that if he visited a region he was listening to, he would be discovered for sure. A city would have been fine, but a small town like Kimball would be sure to create a glaring red flag. He began to suffer restless nights and anxiety dreams became commonplace. I dreamed that I was on a very, very top-secret case. It was during the war. All night we had been awake, squinting at vast charts of numbers. I realized that the code was in Turings socks. I rushed to the telephone, and called England. I was hysterical with excitement. My fingers fumbled on a giant red telephone. As soon as I heard an answer on the other end of the line, I started to yell. Get Turing! Hike up his pants legs  its in the weave of his socks, when they line up you can solve the cipher! And then I shut up, cupped my hand over my mouth, and slammed the phone back into the receiver. I forgot. The Germans were probably listening. Now Hitler would win the war, and it was all my fault. Luckily, I woke up before it got worse. By the 1980s, Carson was fighting to keep his job alive. There had always been a healthy budget, but now younger people he didnt know were starting to manage his division. The new guys didnt remember Carsons stories, and began to see him as dead wood that needed to be cleared out. With the older people that knew and respected him he had always been able to make arguments that kept the listening job afloat, but the new managers kept pressing to close it down. New technologies were changing the way that the NSA did business. 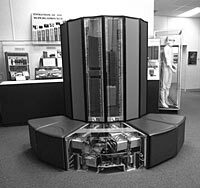 Supercomputers tracking data was much more important than a bank of phone operators. I think you should get a cordless phone. Then you can move around the house easier and talk to me more. I have to hear you more now. I cannot lose you. They cant replace my love for you with a computer. A computer cannot listen. Computers only look. Key words mean nothing. I love you Imogene. In 1986, Ronald Reagan dedicated the new NSA building complex on the grounds of Fort Meade, Maryland. It was Carsons worst nightmare; he was given a job at the new complex, and his listening program was completely phased out. He found himself in an office underground. I remember when you used to tell me that fruit from the supermarket is tasteless. I agree with you. If small markets work, why do we need the super markets? I miss you. At the urging of friends, Imogene Campbell released the diaries to the press. Although the story was published in several liberal newspapers, the NSA discounted the diaries as unsubstantiated fantasy. Nonetheless, Campbell was grateful to have the money. She used it to pay off her outstanding debt from years of operating in the red after the interstate bypassed her motel. Today she lives comfortably in Kimball, where she watches the large screen television almost every night, and uses the cordless phone to talk to her friends.